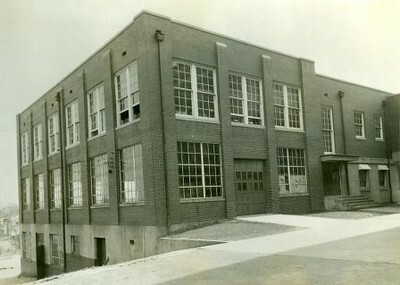 An image of the Mozee Building at Dunbar High School that was built in 1941. The second story of the building was added in 1949. The building is named after a former teacher and administrator at Dunbar High School and housed Industrial Arts and Auto Mechanics.